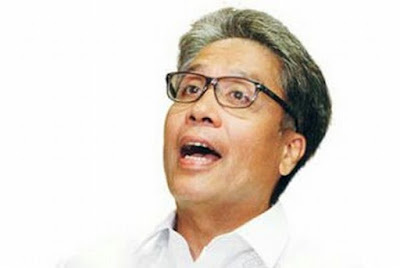 Marbobo Roxas now makes headlines yet again aside from his malnourished visage. Right now, it is said that a study in Oxford University has proven that the Duterte Camp has been using trolls to help President Rodrigo R. Duterte win the elections. He decided to get an interview with Raissa Espinosa-Robles' daughter-in-law Pia Granada-Robles on Crappler as his electoral protest is still going on. "I am the real president of the Philippines. The study in Oxford has solid evidence that Dutertrolls have caused my loss. There is solid evidence that the Hocus PCOS Machines were hacked which allowed Duterte to win. I am not only willing to charge an electoral protest but I want to get Duturte and his cohorts to be in jail for electoral fraud. The case of Bongbong vs. Leni is clear that the former is trying to illegally steal the seat of the latter. Duterte owes me my presidency. I should have been president." said Marbobo in the interview with Pia on Crappler. This just in, Korina-Sanchez-Roxas also entered the scene to make headlines yet again. She announced that the fight for Marbobo's presidency would not be an easy task. She said, "The fight for Marbobo's presidency is not an easy task. To liberate the Philippines this study in Oxford will prove that Marbobo and not Duterte is the real president. We can also prove that a lot of our supporters are missing or were kidnapped by Dutertrolls. There is now solid evidence and I am confident I will be first lady. But if Marbobo should die in the process I will be willing to run for office to continue the legacy of the late Cory and Leni Loud Robredo." Loida Nicolas-Lewis soon made headlines yet again as Fil-Am leader said, "Mr. Duterte, you are not the real president. Please resign now and let Marbobo be the president. You are charged with electoral fraud." She was with good friend Hillary Rodham Clinton during their call to install Marbobo as the president of the Philippines. Both Mrs. Lewis and Mrs. Clinton went on a blocking spree on Twitter as they were bashed for their comments.